Simmons Beautyrest Hotel Mattress question. Home → Mattress Protectors → Danican Waterproof Mattress Protector → Simmons Beautyrest Hotel Mattress question. First, thank you for being willing to answer questions! I did read through your blog and see some of the info I needed but wanted to ask the specifics:Like many folks, I slept on a hotel mattress recently that I liked. I see where you suggest that those mattresses are not meant to last and you thenexplain what would be an equivalent for the consumer vs. hospitality. However, I did contact the mattress company directly in this case, and his statement was that the hospitality mattress I slept on is actually made to be durable, not to break down quickly or easily. He even said that a “zip off top” is available on the model I liked, but only to the hospitality clients, so thatthey can refresh and recomfort the bed if necessary, but when they sell to regular consumers, this is not necessary. I stayed at an Aloft hotel, and he identified the mattress I slept on as the Simmons Beautyrest Aloft Eurotop, not available in stores, but can be boughtstraight from Simmons through their special division that handles such inquiries about hotel mattresses. Our problem: my husband did not sleep on the mattress in the hotel, only I did. 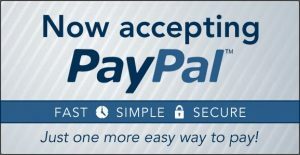 My husband wants to be able to buy a mattress he can at least try before ordering, whether from you guys or from anyone online or via phone. The Simmons person told me that there is no comparable mattress in stores for him to lay on. Hoping that maybe you disagree or think there might be a version available for us to try before we buy. If I give you the information I have, are you able to tell me what model this is comparable to so that he can try it first before I would order it?? I cannot help you with that particular mattress. What we recommend for adults is a Beautyrest with a latex topper. A Beautyrest without a latex topper is a complaint waiting to be filed. Whoever you spoke to, is only interested in the sale…and not about your long term comfort & support. For average weight adults, the recommendation would be the World Class Santorini in luxury firm and an Ever-Eden 2″ soft Talalay latex topper. For heavier adults, it would be the Black Ava in luxury firm with that same topper. For really heavy adults, it would be the Black Alexia with an Ever-Eden 3″ soft Vytex Dunlop topper. Trying these mattresses without the topper be of no use to you. And, trying and buying a mattress based on its comfort will be deceiving…as it won’t maintain its initial feel for very long. 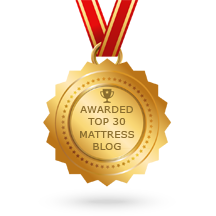 In fact, most mattresses will begin to lose their comfort and support within months…and you’ll be looking for a new mattress within a couple of years. Here are links to what we recommend. Delivery is free and there’s no sales tax.